Jeff was drafted as the number one pick in the 1994 AFL draft, and after three years with the Fremantle Dockers, went on to play football for the Melbourne Demons, a club he stayed with for 11 years. During his professional football career, he won the Melbourne Football Club’s Best and Fairest count and achieved All-Australian selection. He is now a life member of the club. Having been consumed with the internet and social media since his retirement, Jeff’s passion lead him to establishing White Echo, where he now helps both individuals and brands establish their presence online. Jeff discovered a need in the market when he first started his own Twitter account @JeffWhite34 back in March 2009. It was there that Jeff noticed the power of instant interaction. Through intensive research, through helping friends such as Gary Ablett Jnr, Pro Golfer Adam Scott and various local businesses, Jeff established a simple way to assist those looking to increase their social media presence. This idea, this philosophy of full time management has to this day enabled him and his team to assist over 70+ companies worldwide since 2010. By channeling his own self instincts that allowed him to perform at the highest level in his chosen sport for 14 years, this passion is now channelled towards White Echo clients. When not attached to an Apple device, Jeff enjoys jet-skiing, watching footy and spending time with his family. Suzie Fish met Jeff when they worked together at 102.9 Hot Tomato. Suzie came on board with White Echo back in 2011 as a Freelance Graphic Designer while also balancing her full time position at Cooper McKenzie Marketing. Since having her gorgeous daughter Rosie in 2012 Suzie returned to White Echo in 2014 as a permanent part of the team! 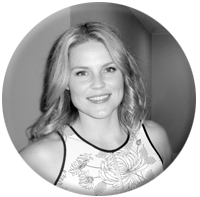 Suzie has over 8 years experience completing her Bachelor of Graphic Design with first class honours in 2006 at the University of Canberra. Suzie has worked in design across a range of fields including Advertising & Marketing, Commercial, Corporate, Hospitality & Education. She has a great eye for detail, a creative mind and an ability to create top notch designs to nail the brief! Suzie has a can do spirit and will go that extra mile to make everyone happy! 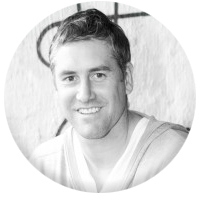 Jon is the man at White Echo when it comes to anything related to websites, apps, search engines (SEO & SEM) and tech! 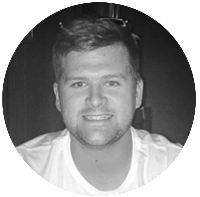 Jon has a strong technical knowledge, having worked as a network administator for a number of large businesses before making the switch to writing code. He enjoys a challenge – and there isn’t too much that gets past him! A typical nerd at heart, Jon enjoys ‘switching off’ by playing and coaching basketball, having a hit of volleyball, cranking up the Nintendo SNES and playing in several fantasy sports competitions. We challenge you to find something Jon can’t code, fix or figure out!